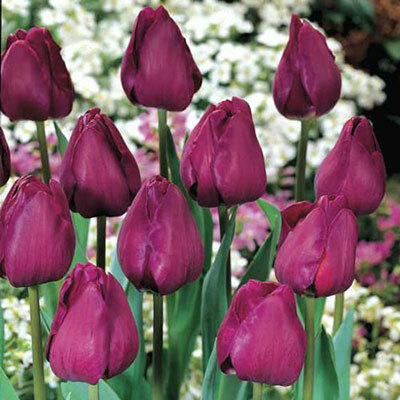 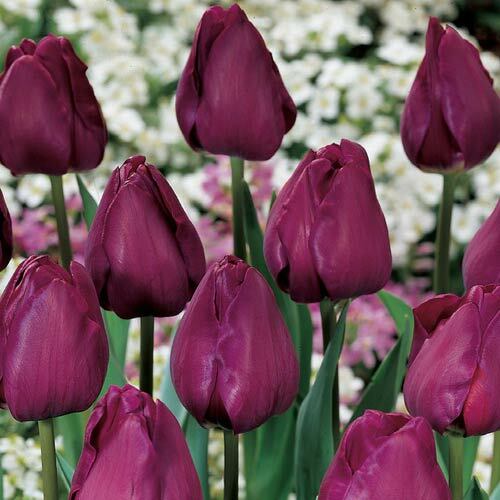 Triumph tulips are the result of crossing the long-stemmed Darwin hybrid tulips with the short-stemmed early tulips. 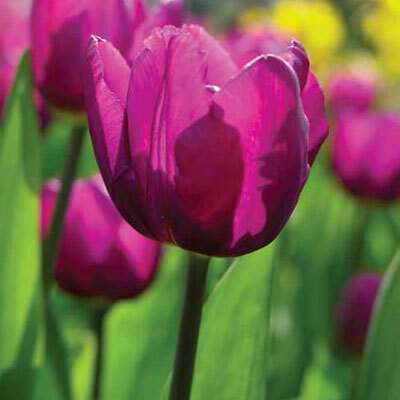 When planted outdoors, their flowering time is in between these two varieties, blooming late April through early May. 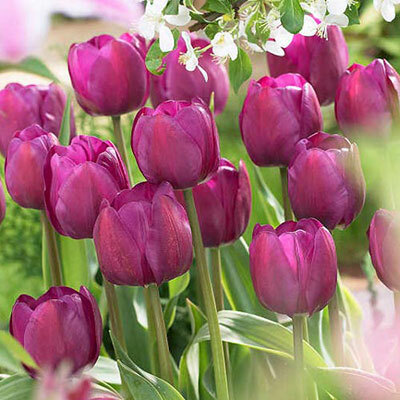 With their strong stems, large flowers, and medium heights, triumph tulips are excellent as potted plants for Valentine's Day and Easter, and are superb in beds or borders.Ideal for forcing for Valentine's Day.